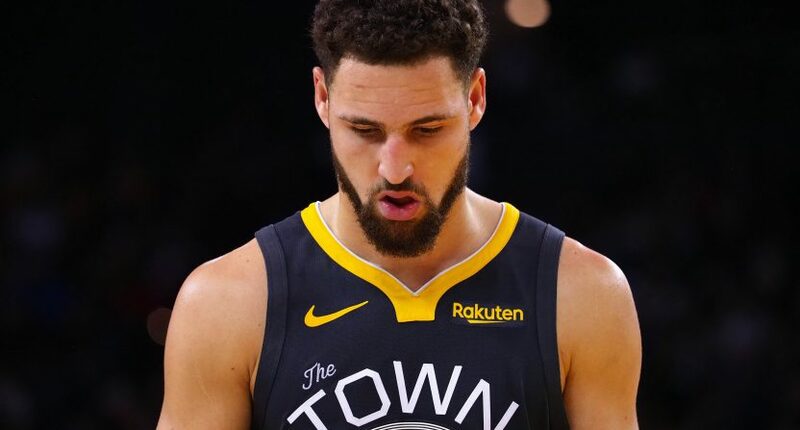 Ahead of defending NBA champions Golden State Warriors taking on the current NBA regular season best Toronto Raptors on Thursday, Klay Thompson let it be known the match could be an NBA Finals preview. When asked about the Raptors, Thomspon called the team “really special” and said they were a tough test for the Warriors. It’s high praise for the Raptors, who lead the NBA in wins with 18 wins. With the Boston Celtics struggling and the Philadelphia 76ers still figuring things out post-Jimmy Butler trade, Toronto has a real chance at an NBA Finals appearance assuming they can stay healthy and don’t choke in the playoffs – as they have in recent years. Golden State leads the Western Conference with 15 wins and is likely to win out. So, as Klay mentioned, this is a good test for both teams in what could be an early look at the upcoming NBA Finals. At the very least, the Raptors have the rest of the NBA, including the defending champs, talking.